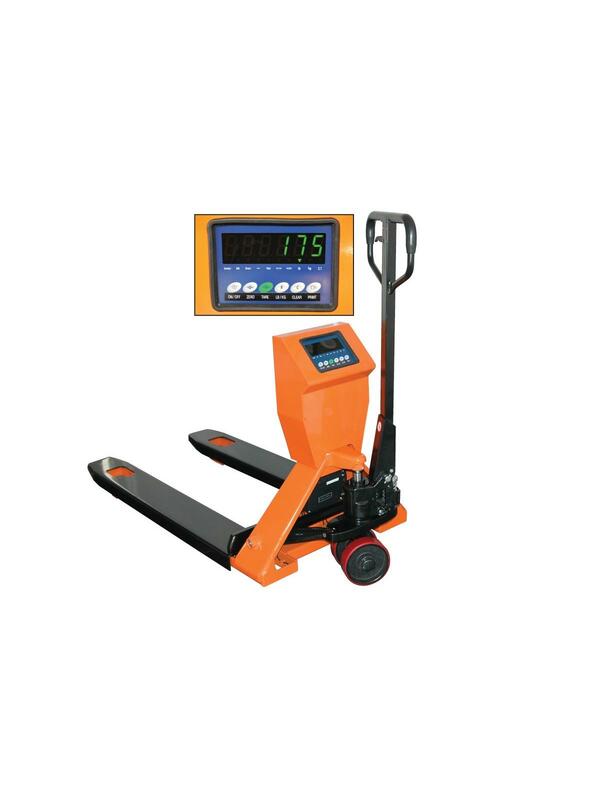 The Atlas KwikWeigh pallet truck scale includes all the features of a pallet truck along with portable truck scales. Operates on 4, 1.5-volt “C” cell batteries (included) for up to 25 hours of operation. In order to make maximum use of battery power, the indicator is programmed to turn off if not used in five minutes. 1.2″ tall digital LCD characters are easy to read. Weighs up to 4,500 lbs (2045 kg) in 1 lb (0.5 kg) increments. Weighing capacity of 4500 lbs. Resolution is by 1 lb, max. error +/- .2% of applied load, 4 lbs at 2500 lbs.